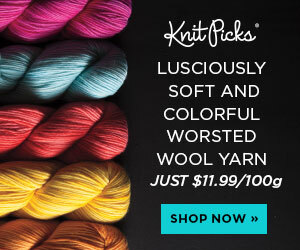 It has been a minute since I have gotten my hands on some amazing We Are Knitters Pima Cotton. I was super excited when they sent me the We Are Knitters Vere Tee to work up. Gah… I instantly remember how much I love this yarn and these fun kits. Disclaimer: This post includes affiliate links. Read full blog disclosure here. 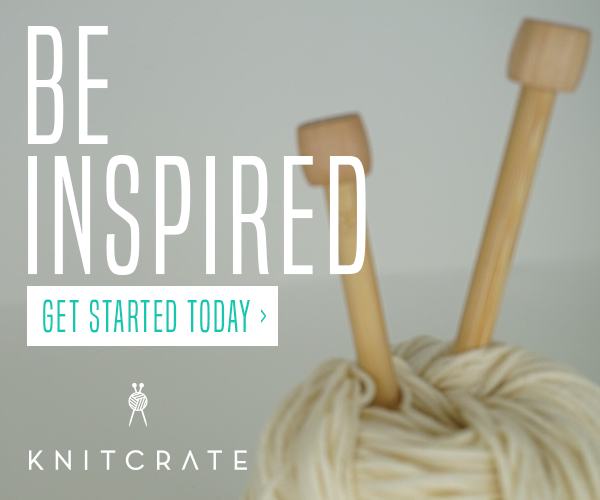 You had me at yarn. Throw in chef prepared snacks, great peo0ple AND a discount? Yeah I am all about it! For our third year in a row, we kicked off Stitch Up Chicago with a little pre-game action at Nina Chicago and it was magnificent! When Allison sent me her worsted in Allison’s Pajamas and Chocolate Brownie I was not only hungry and wanted to have a PJ party but I knew instantly I wanted to design a transitional season shawl. The Highland Shawl is exactly what I envisioned - and we know that never happens in deign process so yay for that bonus! This post includes affiliate links. Read full blog disclosure here. Be A Bag Lady! Great Bags To Crochet For Summer! 6 Free Crochet Patterns of functional, fabulous bags that will get you through the summer in style. Say Hello To The Oliphant Kat Shawl! Continuing my New York City roots exploration and shining a spotlight on other makers & designers, I want to introduce you to Katrina Walser of Oliphant Kat and her newest design for us: Emilia’s Nursing Shawl. And don’t worry - no baby is required to create and love this designer and this design! We got a chance to check out the new Knitters Pride Ginger Interchangeable needles and they are AMAZING! See why we love them! Disclaimer: This post includes affiliate links. Read full blog disclosure here. Get to know the magnifiscent Natalie who designed the new My Favorite Jeans Top. Disclaimer: This post includes affiliate links. Read full blog disclosure here. Some people just beam and radiate light and love when you are in their presence. In the fiber world, my friend GG is one of them. I asked her our Maker Profile Questions and got her thoughts on the current conversation of diversity and inclusion. From decor to recipes - all you need for a fabulous, cozy handmade Thanksgiving table. Give your guests something special to be thankful for. What can I say about this amazing fun and quick pattern? It has won me over on so many levels. It works up fast and is the perfect piece to get you from Spring all the way through summer. This post includes affiliate links. Read full blog disclosure here. The Highland Shawl is great for every level of knitter from beginner to experienced. The lace pattern creates an airy effect and the drape of the solid sequences is effortless with this fiber. Personally I wear this shawl year round. This post includes affiliate links. Read full blog disclosure here. This is such a fabulous pattern and while Kat designed it to be a nursing shawl for her first baby, I can tell you that it is a stunning shawl sans baby and will quickly be one of your favorite things to make and to wear. Or - it is the perfect gift for a new mom to be. Disclaimer: This post includes affiliate links. Read full blog disclosure here. This incredible design by Natalie Thomas of Detroit Knots brings our love for jeans to life in crochet. My goodness this top! SWOON-WORTHY! You will want to make one for yourself and every one of your fave gals! Disclaimer: This post includes affiliate links. Read full blog disclosure here. This super cute slouchy hat works up quickly and can be made in child or adult sizes. Fabulous for gifts for the whole family! The Burlington Ruana free knitting pattern is more than a stylish cozy accessory - it is basically the most fabulous blanket you can wear in public and works up like a breeze. It is easily converted to an oversized shawl for all year round enjoyment as well. Disclaimer: This post includes affiliate links. Read full blog disclosure here. Inspired by the history and structure of the Flatiron Building in New York City, and NYC heart, this shawl takes a you on a stitch journey way beyond the traditional triangle shawl. I used a small variation on the Puff Stitch to illustrate the windows and used two separate increase techniques to get the shape. This Ruana is super cool because it can be so many things. Truly a versatile piece you will definitely want to make in your favorite colors. You can wear it as a Ruana or you can wear it as a scarf. You can add a front closure and wear it as a poncho or even a cape. This one piece can be whatever you need it to be. I have always wanted to do my own version of a “Halloween” themed hat. Since I don’t really do costumes anymore, I wanted a hat I could wear all season long. I came up with my take on a spider-web cross with a pumpkin hat and I kind of love it. Disclaimer: This post includes affiliate links. Read full blog disclosure here.